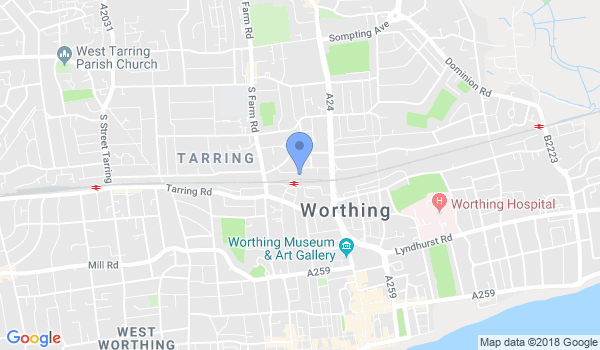 Centre Line BJJ at Worthing Martial Arts is a dedicated Brazilian Jiu Jitsu academy in Worthing headed by two qualified Jiu Jitsu Black Belts. For the first time in Worthing, two black belts have come together to provide quality, professional BJJ instruction in a professional, welcoming and friendly setting. Offering over 1000sq ft of matted space, coupled with a weights gym, this unique academy is your ideal location to learn an effective martial art, get fit, have fun and grow on many levels. Would you like more information on hours, classes and programs available at Centre Line BJJ? Please contact the school with your questions. Update the details, Write a Review or Report Error of Centre Line BJJ. This Chart shows the Martial Arts Styles offered most in Worthing, UK area. View a list of Dojo in Worthing, or enter your address below to find schools closest to you.